Even if you’ve been working hard to get the exercise you need, the winter presents challenges that can derail your fitness plan. As the temperature drops, people need to be ready to adjust their strategy and maintain momentum. With a few easy changes and a little foresight, it’s not so hard to come up with ideas that will keep you losing weight and building muscle in winter and throughout the rest of the year. Running up and down stairs can produce a much faster and more effective workout than jogging on flat terrain or the treadmill. If you’re using the stairs inside an apartment building, then you can alternate by adding walking intervals every few floors. Many of us spend most of our time in front of a computer at work. Consider getting a standing desk so you can reduce the effects of long-term sitting. Standing for about three hours after lunch has been shown to substantially reduce blood sugar spikes associated with eating a meal. For most people, standing at your desk can burn as much as 1,000 calories a week. Green veggies including broccoli, cauliflower. Healthy eating will guide you to a number of high-fiber, high-water foods. These grant a greater feel of satiety for a longer period of time, so you’ll consume fewer calories. Try and consume high-fiber fruits and vegetables to fill up before attending holiday parties. Be sure to drink plenty of water. Not only does it help you fend off dehydration, but it often curbs hunger between meals. Before having any snack, drink two glasses of water. 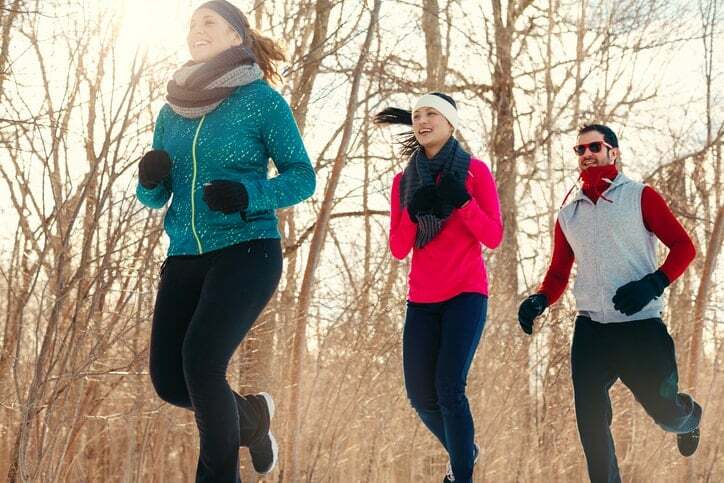 Expert advice from a qualified doctor can help you keep moving toward your fitness goals in the winter and all year around. Contact Park Avenue Medical Professionals to learn more. Fill out the form on this page to request an appointment or call 212.427.2000 to learn more.